These friendly, free sessions look at: how to get feeding off to a great start, what to expect in the early days, and where to find support. The sessions is in Oxford on a weekday 8-9:30 pm. Booking essential. Call Jayne on 01865 557405. Monday 10-12 in a private house Headington. Call 01865 557405. Tuesday 10-12 at 21 Complins Close, North Oxford, OX2 6PZ. Call 01865 557405. For any woman who is breastfeeding a toddler, or open to doing so. Meetings are at the Donnington Doorstep Family Centre, OX4 4BB. For more information call 01865 557405. Antenatal Workshops Free session for pregnant women and their partners/supporters to learn about breastfeeding. 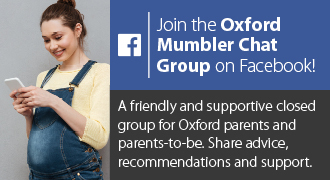 Normally the first Tuesday of the month 12:30-1:30 pm at the South Oxford Family Room (was called Grandpont Children’s Centre). Check here for dates and further info. Oxfordshire Breastfeeding Support Drop-Ins Provide local breastfeeding support in weekly sessions, facilitated by IBCLCs (Lactation Consultants) and experienced breastfeeding support workers, with friendly peer support from trained volunteers. Partners/supporters and children welcome.